"Lauren managed to get inside my head, unravel my fears. 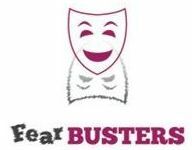 Fear busters works! I managed my climb, didn’t freeze with fear. Thank you Lauren!" Overcome Your Fear of Flying! My program will be personally tailored to help YOU reach your full potential and overcome any fears or problems that are stopping this happening at the moment. Using my help you will feel free from those emotional blocks that keep trapped in your unhappy comfort zone and this will help you reach your FULL POTENTIAL. Imagine what it will feel like not to be afraid of doing those things that have held you back in the past. I will be using EFT which is a technique of tapping on your acupressure points and visualisation, and this becomes something you can use whenever you feel under pressure. There will be no medications used or repeated therapy sessions. I will be constantly there to listen to you and give you reassurance on moving forward. Imagine how wonderful it will be to feel free and more confident to reach your goals and your full potential. Please contact me for a free consultation by emailing me on lauren@fear-busters.com. For over a year my 12 year-old daughter suffered from stomach pain caused by acute anxiety. It was constant day and night, prevented her from sleeping or woke her from sleep as well as impeding her everyday life. Traditional medical examination and treatment proved there was nothing physically wrong but also gave no cure. Cognitive Behavioural Therapy (CBT) did not help very much either.